Conduit lighting is owned by Stuart Moth who is a lighting and product designer with more than 15 years in the business. Electrical conduit has become part of interior design that Moth wanted to provide in a metal finish and design to suit interiors rather than traditional steel . Conduit lighting first came about a couple of years ago where a client of Moth lighting wanted to use conduit for an industrial interior design but retain the main material copper. So rather than use gas pipe that comes with no suitable BS regulations. Moth lighting decided to plate in copper. You may wonder why Conduit lighting is the only supplier of copper conduit, the main reason is it’s a really difficult process to stop copper tarnishing and turning brown. Conduit lighting has the secret formula after rigorous tests and found a method to prevent this problem. Conduit lighting is becoming more and more popular and as with more projects we reinvest into improving techniques and reducing production costs. Conduit lighting can supply conduit, conduit boxes and lighting fittings in many different metal finishes. Copper, Gold, Rose Gold, Silver, Brass, Aged Brass and Bronze. 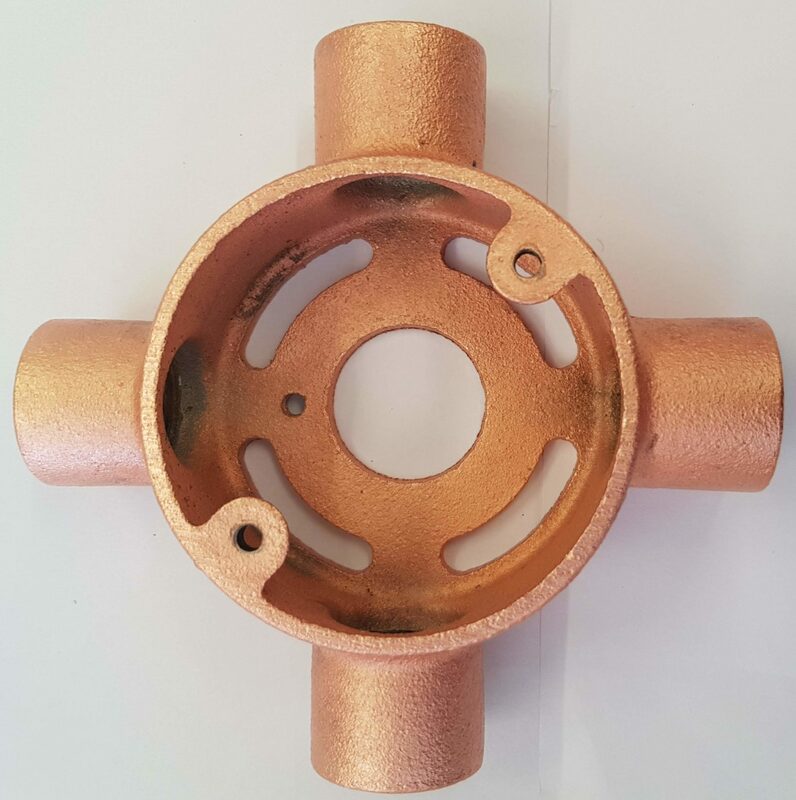 These can be plated or painted, the conduit and conduit boxes are available in a low tolerance castings with imperfections or a high tolerance. The high tolerance can be polished to a mirror finish to suit high end installations but would need to be maintained as you would with door finger plates. The copper conduit image is of low tolerance and I’m sure you agree it looks amazing. We understand that traditional hot dip galvanizing conduit methods can be harmful to human health and the environment, therefore we are happy that Electroplating is much more environmentally friendly. I wanted to share the creative flexibility of conduit lighting, cut, finished and ready to slip into a project. The conduit lighting design becomes part of the interior, furniture, or architecture. Conduit lighting cross or diamond configurations are modular, endless and unique. Walls, ceiling, central features, chandelier or all of the above. Hope you enjoy adding this concept into your amazing interior. On this site you will find a number of conduit layouts for interiors. The conduit and products are available in most metal finishes, so lots of choice. Our blog will show completed projects.